64 year-old female with a history of metastatic colonic adenocarcinoma was initially admitted for PO intolerance secondary to recurrent small bowel obstructions (associated with abdominal tumor burden). 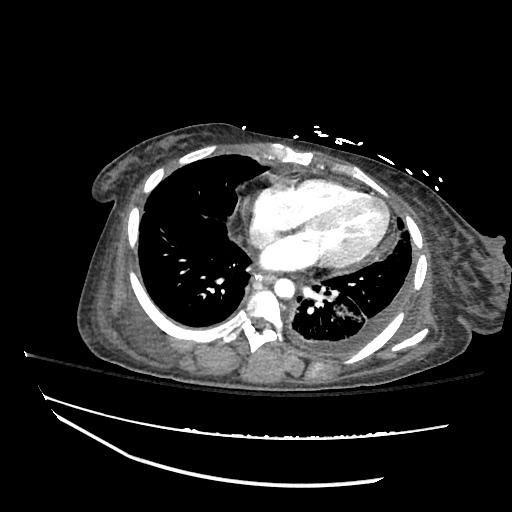 On hospital day six, the patient developed tachypnea, hypoxemia, hypotension and was intubated for respiratory distress. In the MICU, the patient was treated for acute hypoxic respiratory failure thought to be caused by aspiration (large volume bilious emesis prior to intubation despite NGT LCWS) vs. accumulating malignant pleural effusions vs. pulmonary embolism. 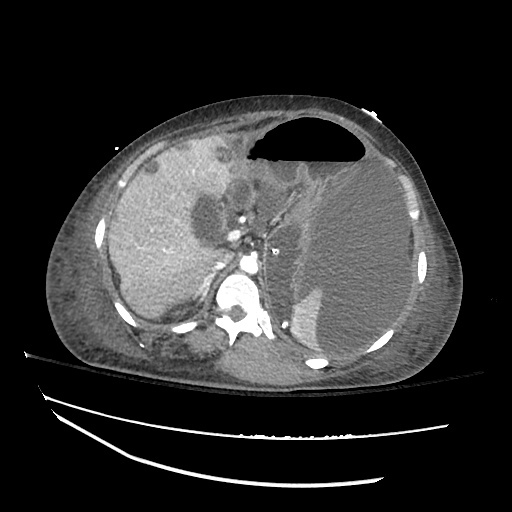 Septic shock of a presumed pulmonary vs. intra-abdominal source was managed with vasopressors and broad-spectrum antimicrobials. 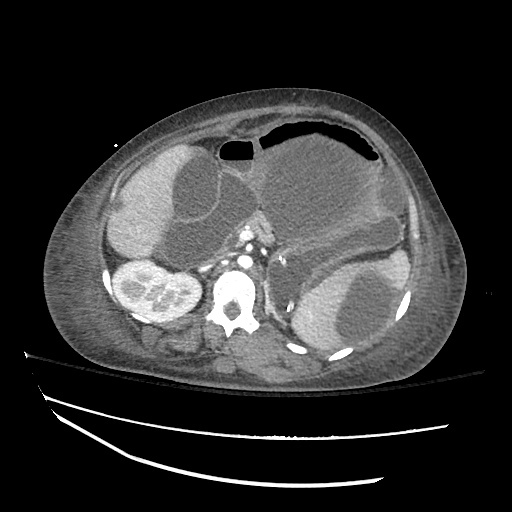 On hospital day fourteen, an elevation in the serum creatinine was noted. 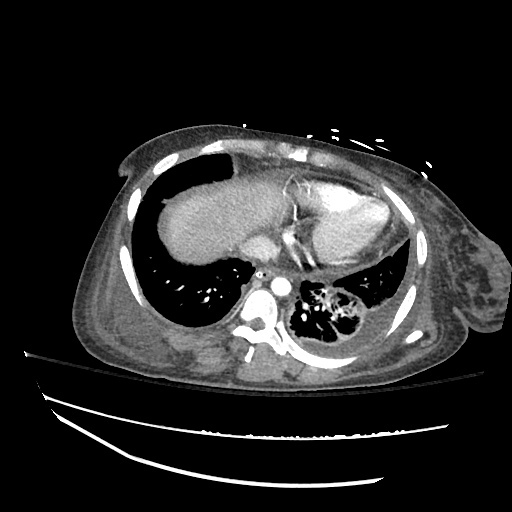 Known nephrotoxic agents include iodinated contrast on hospital day five, and vancomycin. The patient’s vasopressor requirement had decreased to norepinephrine 6mcg/kg/min (previously requiring four vasopressors). 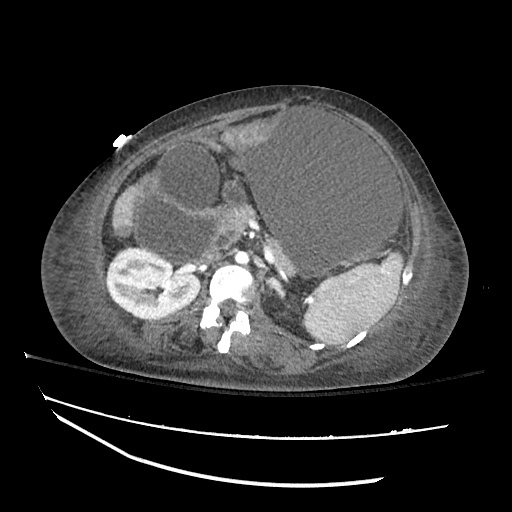 Over the next six days, the serum creatinine continued to trend upwards associated with a decrease in urine output (0.3-0.5mL/kg/hour). Intravenous crystalloid and colloid administered liberally based on central venous pressure and ultrasound of the inferior vena cava did not impact urine output. Within the retroperitoneum, the left kidney is small and atrophic and demonstrates limited peripheral enhancement. The left renal artery is also poorly visualized. Severely dilated loops of small bowel, including a segment within the left lower quadrant that may represent a closed loop obstruction. 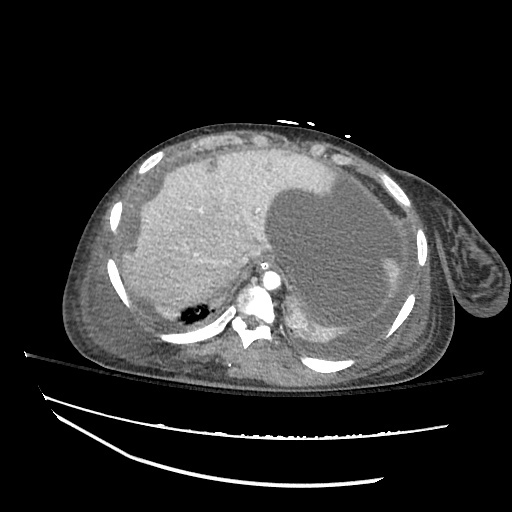 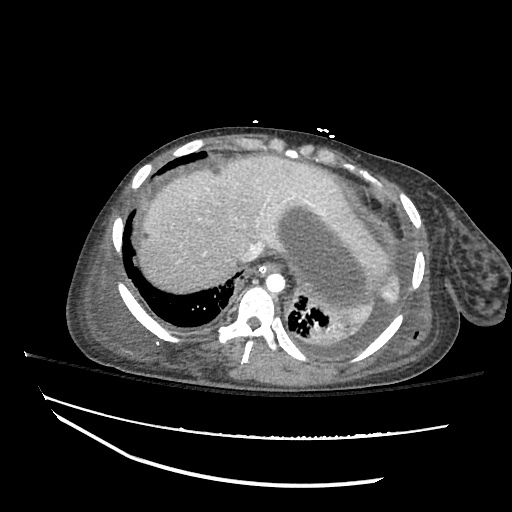 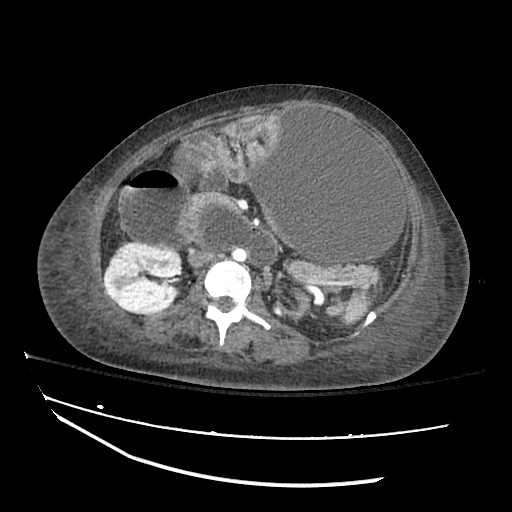 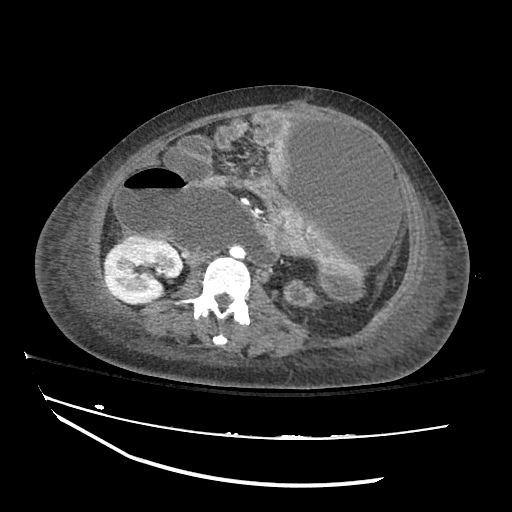 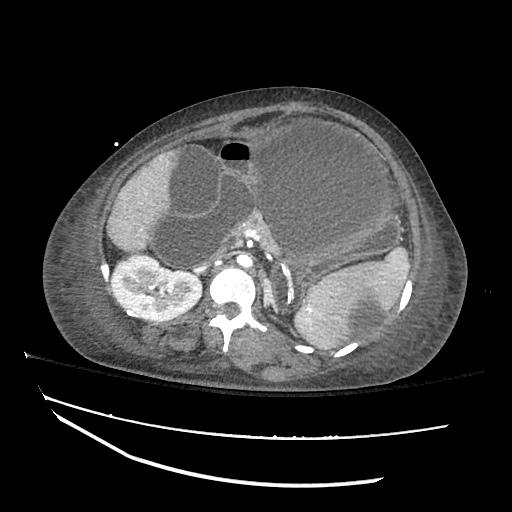 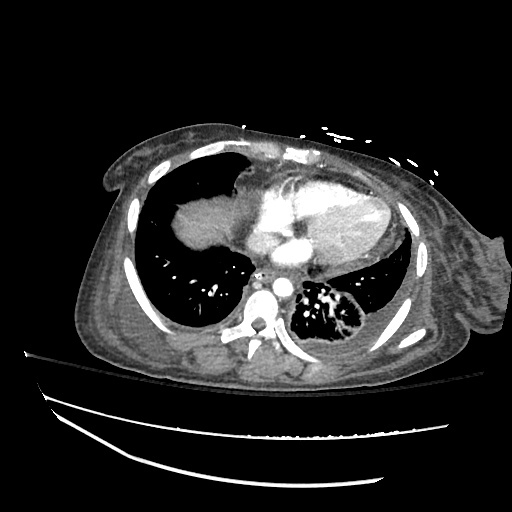 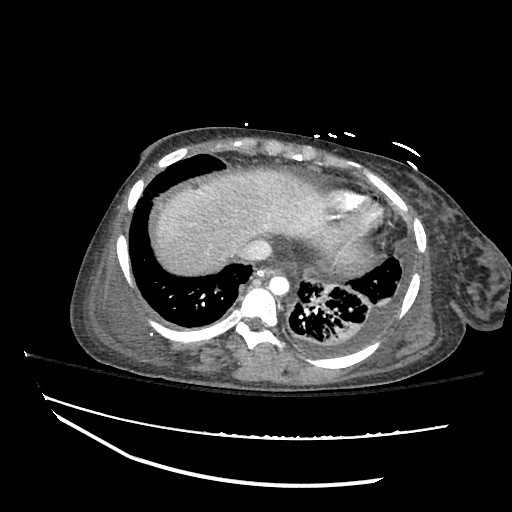 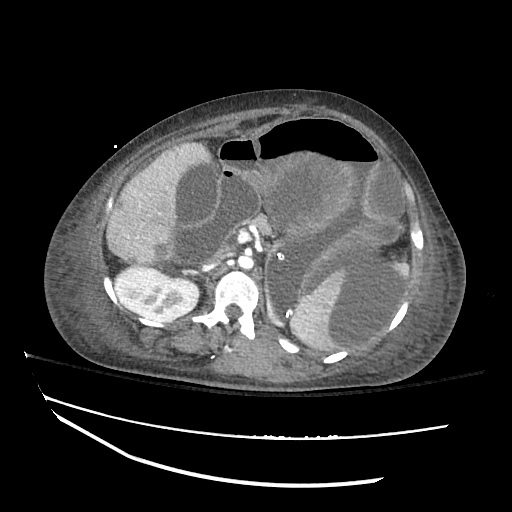 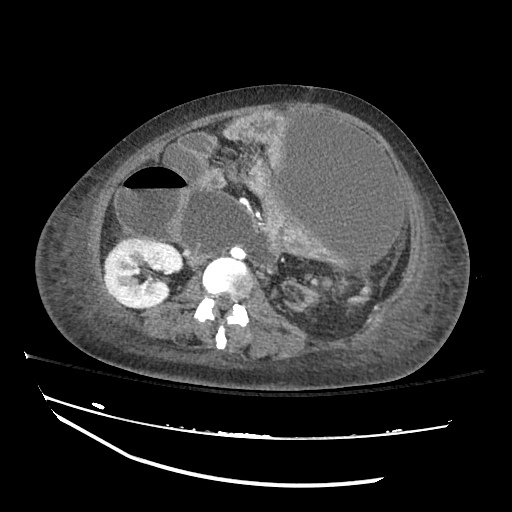 There is a large (16.4 cm in largest diameter) subphrenic fluid collection in the left upper quadrant. A second large (14.2 cm in largest diameter) intraabdominal fluid collection lies inferior and anteriorly. 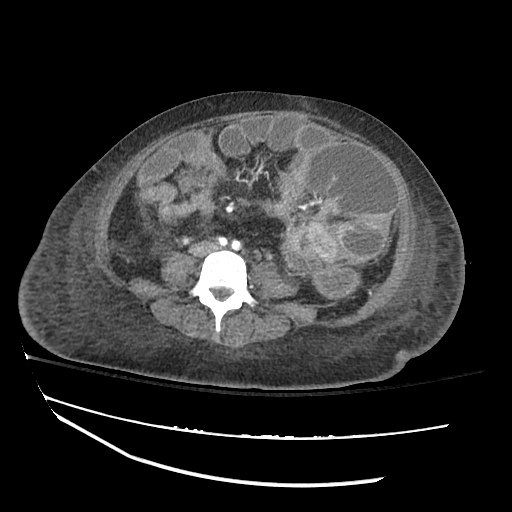 Oliguric acute renal failure in the setting of convincingly pre-renal urine studies which was not responsive to adequate crystalloid and colloid volume resuscitation. 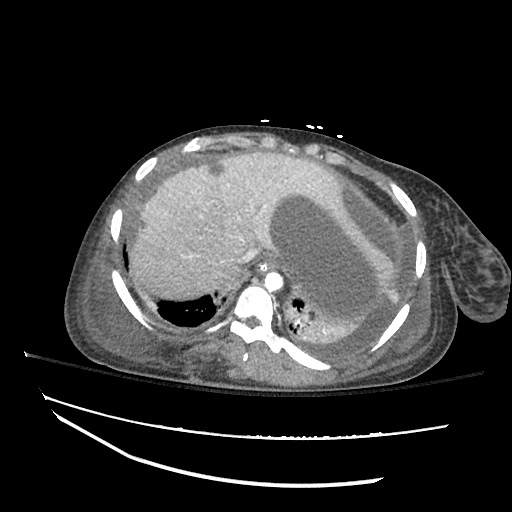 The patient had a normal ejection fraction on a recent echocardiogram, and while the patient was hypoalbuminemic (presumably from poor nutritional status and PO intolerance), urine output was not even transiently responsive to colloid administration. While the patient had recent administration of intravenous contrast, the elevation in serum creatinine occurred more than one week later. 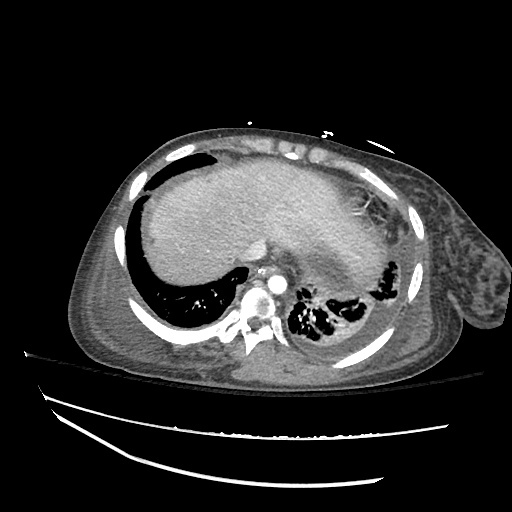 Further, the elevated vancomycin trough was likely a consequence rather than the etiology of worsening renal failure. 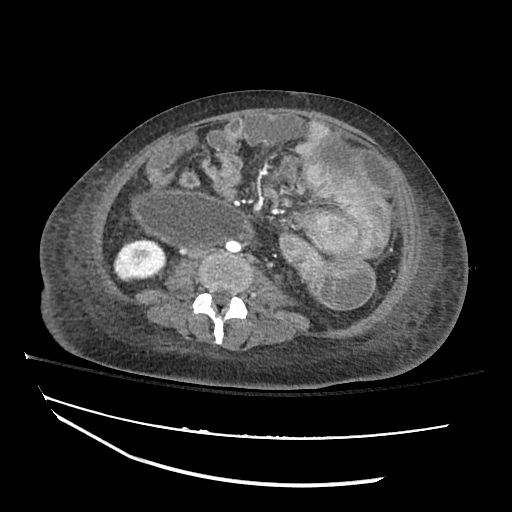 AKI was likely secondary to renal artery compression from mass effect associated with abdominal metastases. There was evidence of a similar process affecting the left kidney, which was severely atrophic. The patient declined further evaluation, which would have included a renal ultrasound. 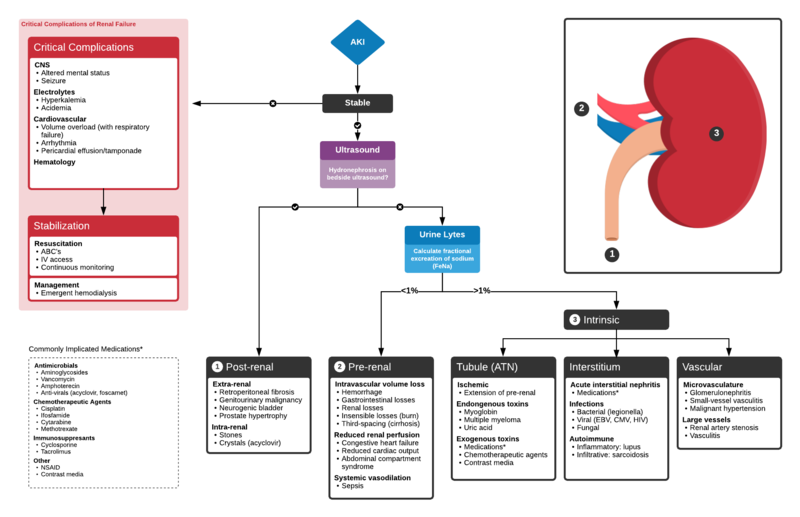 NOTE: Algorithm revised in November, 2017. The prior version is no longer supported but remains available here.